Xin Yukun’s 2014 debut film The Coffin in the Mountain (also known as Deep in the Heart) won awards both in China and abroad. 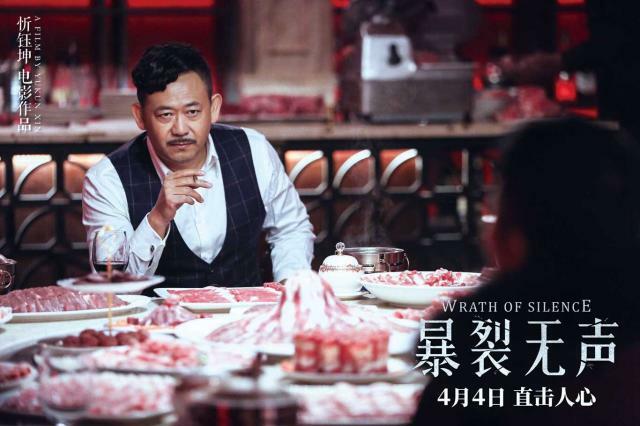 This year on April 4 the 34-year-old director followed up with the release of his second directorial work, Wrath of Silence, a crime thriller. 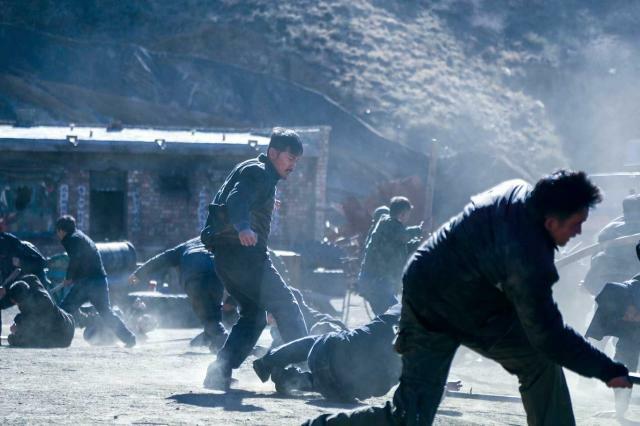 The action crime thriller is based on harrowing true stories about the mining industry in Baotou, Inner Mongolia Autonomous Region – Xin’s hometown. It provides a dark and punishing account of the struggles of those on society’s bottom rung through the interwoven lives of three segments of society: mine owners, workers and villagers. “Nowadays most mainstream films feature a fast rhythm and overuse of visual effects. I hope moviegoers will redefine film and get a different feeling from my work,” Xin said during a promotional event in Chengdu, Sichuan Province, on April 3. “I always hope I can produce a film with my own logic, offering a chance for moviegoers to touch the dark side and evils of human society and retreat safely,” he continued. The image of a mine blowing up flashes over and over in Xin’s mind, he says. When he was in a high school in Baotou, he could often hear the noise of explosions from a nearby mine. Xin tried to reproduce scenes of the explosion in Wrath of Silence. However, this proved difficult and Xin was forced to resort to computer-generated imagery. Xin admitted this was one of his regrets about the film. In the 2000s, the mining industry in the Baotou suburbs where the film was shot was booming and many pursued money unscrupulously. Some villagers received windfalls from their mines and became rich overnight. However, many were unaware of the negative effects of mining, including the toll on the environment and their own health. Xin had friends and relatives involved in the mining industry, and several shared bizarre and ghastly stories with Xin. At that time, the internet was relatively new in China and many of the stories that took place in the mines were unknown to the outside world. The violent conflicts between mine owners, however, left an indelible imprint on Xin’s mind. Several years later, the local government brought the chaos in the mining industry to a halt and most mines suspended production. “The derelict mine pits were like scars on the land everywhere,” Xin said. In the film, the protagonist, who does not speak, scours these wasted pits as he searches for his missing child. When Xin was at school, composition was one of the few subjects he enjoyed. Every time the teacher proposed a composition, Xin would work tirelessly to write something imbued with imaginary elements. The writing samples gained praise from his teacher, which motivated him to continue writing to this day. Xin performed poorly at school and in the summer after his first year in high school, he came to realize he would not attend a good university. He happened to learn that a film training school in Xi’an, Shaanxi Province,was taking applications. After getting the nod from his parents, Xin took the train to Xi’an. It was 2001 and Xin was just 17. But it was a turning point: film has been central to his life ever since. The private school was under the administration of the Western Movie Group, which was the cradle of many of China’s fifth generation directors, including Chen Kaige and Zhang Yimou. The school had top teaching staff and many of its teachers came from the Western Movie Group. The greatest benefit for Xin was learning to tell stories in a manner that was appealing to moviegoers. In addition, Xi developed a friendship with Feng Yuanliang, who later co-wrote the script for Deep in the Heart. After graduation, Feng joined the petrochemical sector of a State-owned enterprise in Baotou and wrote scripts in his free time. Xin, however, was preparing to continue his study and applied to the Beijing Film Academy without success. He decided to try a second time and began to study at home. 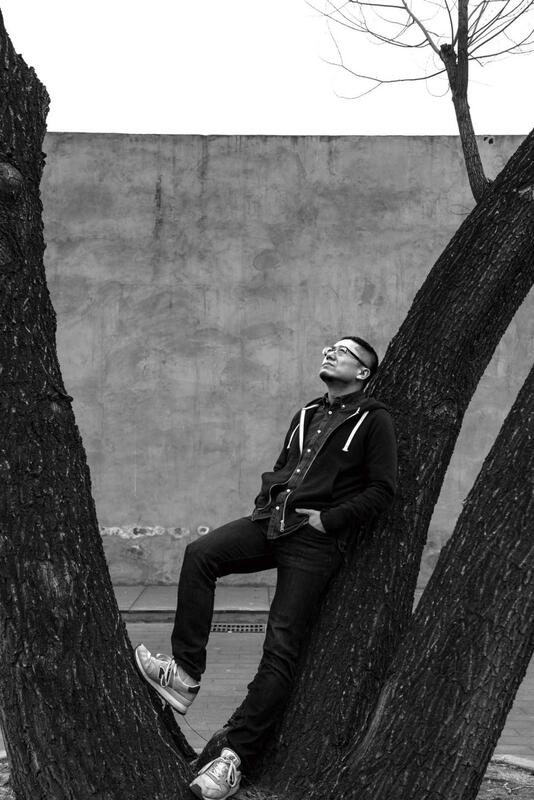 “After careful consideration, I decided to choose film production as my main profession,” he told our reporter. Two months later, one of Xin’s classmates, who was working for the local television station, asked Xin to write some scripts. Before long Xin was shooting, writing and editing programs for the station by himself. He later helped write and shoot some short thrillers about gangsters and drug trafficking, which gained high audience ratings. Xin was later inspired after being exposed to non-linear films. He tried to produce a thriller with a disjointed narrative, but was turned down by the TV station because the plot was too complicated. In 2008, Xin was offered a place at Beijing Film Academy. He spent the majority of his time on film photography but found the techniques were eventually replaced by digital techniques. “I was always not favored by the times,” he said. In 2012, when Xin finished the script for Wrath of Silence about a miner’s search for his missing son, he presented it to Ren Jiangzhou, manager of a small film production studio. Ren liked the script but thought it would need a big budget, and offered Xin the chance to shoot another story first: Deep in the Heart. Ren was born in Henan Province and happened to hear a story from his mother about a charred body being found in a village in the province in the 1990s. One family claimed it was their son, but as the funeral approached the son appeared alive. The body was later claimed by three families and it was not until two years later that the police solved the case. Ren finished the script quickly and invited Xin to shoot the film. Xin modified the plot by adding some non-linear and suspense elements. Meanwhile, Ren successfully sought a production budget of one million yuan (US$158,000). But before shooting began, the investor withdrew and only offered a budget of half the amount. To make matters worse, the relatives who pledged to lend money also withdrew. Xin had to hire a large number of non-professional actors from the village. The FIRST International Film Festival, held in Xining, Qinghai Province, was developed from a college film festival which is open to young film directors only. Deep in the Heart was critically acclaimed at the festival, scooping its best film and best director prizes, with judges praising the film’s structure and presentation of human nature. The film also won at several other film festivals, including the Jury Prize and the Best Actor Award at the International Film Festival & Awards in Macao, and the Grand Prix award at the 30th Warsaw International Film Festival in Poland in 2014. In 2017, Wrath of Silence was the closing film of the FIRST International Film Festival. “The booming film industry has provided great opportunities for young and talented directors. The business and the demands for young directors, however, have given young directors few chances to fail,” he said. Xin is a fan of directors such as Park Chan-wook, Quentin Tarantino and Christopher Nolan who stay true to their vision and are critically acclaimed. From the very beginning, Xin said he wanted to produce absurdist and noir-tinged thrillers featuring corruption, poverty and social injustice in rural areas that fit within the moral boundaries of China. Working in this gray area amid the threat of censorship, he must constantly weigh the risks and gains. “It is a trek and adventure at the border zone,” he said.